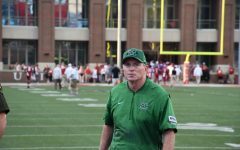 Virginia Tech redshirt junior quarterback Ryan Willis passes over Marshall’s defense in the Hokies’ 41-20 defeat of the Herd. Willis completes 18 of his 26 passes for 312 yards and four touchdowns. 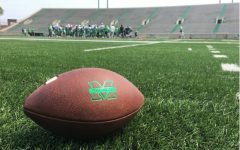 Marshall football struggled in the red zone Saturday in its 41-20 loss to Virginia Tech at Lane Stadium. 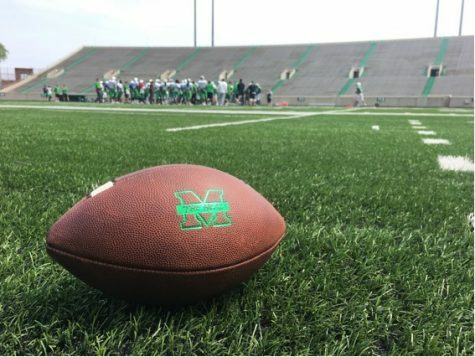 With the loss, Marshall finished its regular season 8-4, while Virginia Tech finished at 6-6, making the Hokies bowl eligible for the 26th consecutive season. 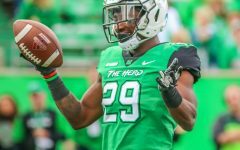 Just six seconds into the game and on Marshall’s first play from scrimmage, the Herd turned the ball over after redshirt freshman quarterback Isaiah Green was strip-sacked. 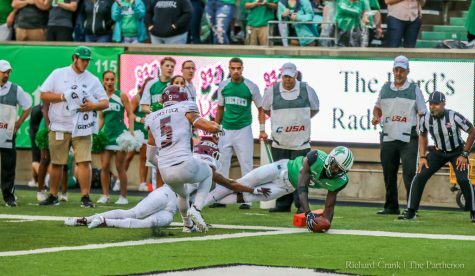 Virginia Tech redshirt senior defensive lineman Ricky Walker sacked Green for a loss of eight yards, and redshirt freshman defensive lineman TyJuan Garbutt recovered the fumble. The Hokies took advantage of the turnover, scoring three points after a 32-yard field goal by redshirt sophomore Brian Johnson to make the score 3-0. 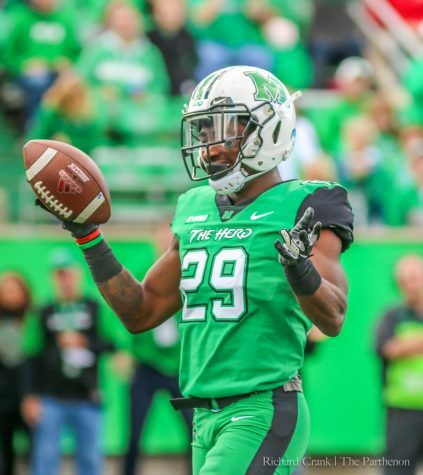 During the Herd’s second possession of the game, Green threw an interception in the end zone. Virginia Tech sophomore defensive back Bryce Watts came away with the interception, the first of his career. 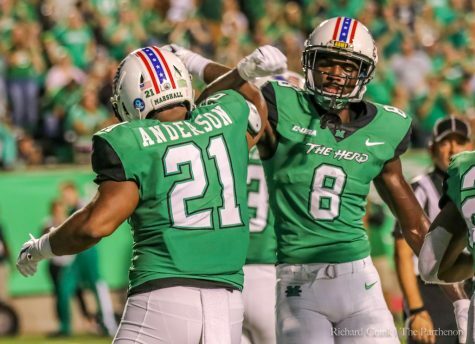 The interception resulted in a touchback after Herd junior receiver Obi Obialo tackled Watts. 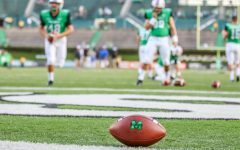 With five minutes to play in the first quarter, redshirt junior quarterback Ryan Willis threw a 46-yard touchdown pass to sophomore receiver Hezekiah Grimsley. 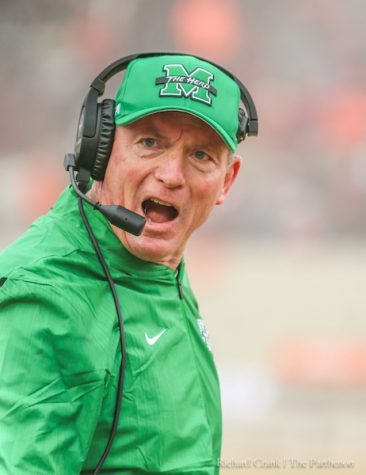 The Hokies extended their lead 10-0, capitalizing on yet another Marshall turnover. 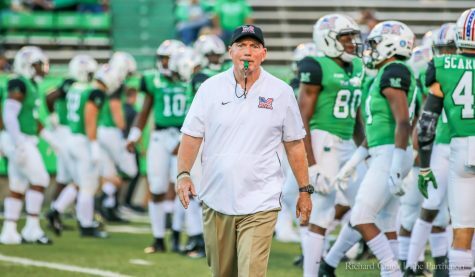 The first quarter ended after a 2-yard Marshall touchdown by redshirt freshman running back Brenden Knox to make the score 10-6 after a missed extra point by redshirt junior kicker Justin Rohrwasser. Knox had a 67-yard run earlier in the drive to set up his short touchdown. 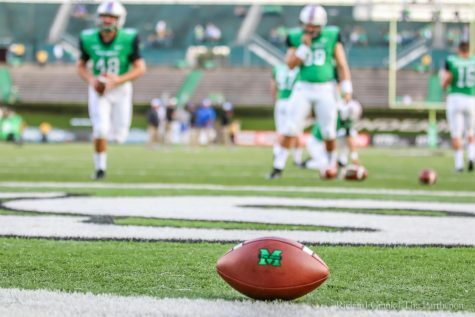 On the first scoring drive of the second quarter, Willis threw a 47-yard pass to freshman wide receiver Tre Turner. 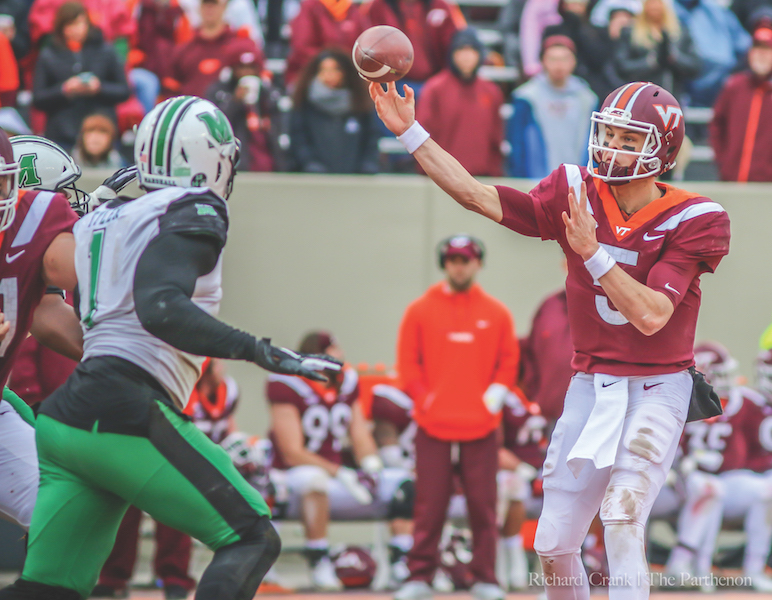 This resulted in Willis’ 20th touchdown pass of the season, which extended the Hokies’ lead to 17-6. Virginia Tech continued to extend its lead in the second quarter and scored two touchdowns to make the score 31-6 at halftime. 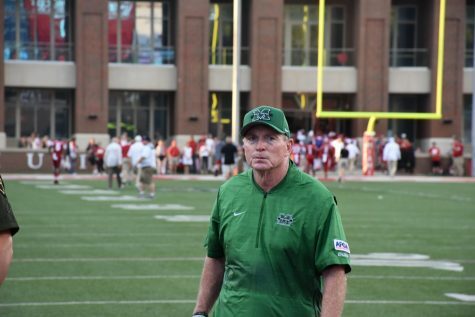 In the first half, Marshall had only 68 passing yards, while the Hokies had 254. 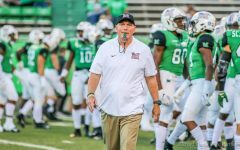 Marshall did not have another scoring drive until the beginning of the fourth quarter, when Green found redshirt sophomore tight end Xavier Gaines on a 34-yard touchdown pass. 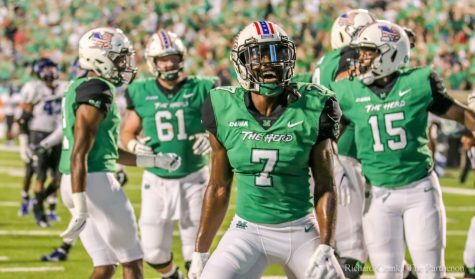 It was a quiet day for Herd star redshirt senior wide receiver Tyre Brady, who had two catches for 24 yards total. The Hokies had two scoring drives in the second half, with the first being a 32-yard field goal by Johnson. The second score came in the fourth quarter after a 40-yard run by sophomore running back Jalen Holston to extend Virginia Tech’s lead to 41-13. 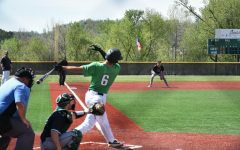 On the final scoring drive of the game, Knox scored a touchdown on a 5-yard run to make the final score 41-20. 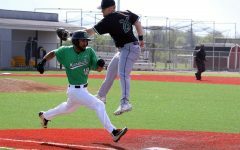 Knox had 27 carries for 204 yards and two touchdowns—a career-high. 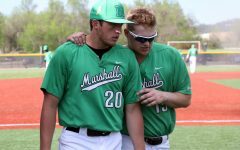 Knox acknowledged he was proud of the team for continuing to fight. 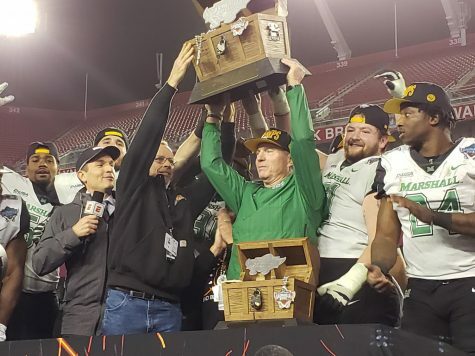 The Herd accepted an invite to the Bad Boy Mowers Gasparilla Bowl Sunday afternoon, where it will play USF at 8 p.m. Dec. 20.